Blount Small Ship Adventures is promoting its North America cruises as an alternative to travelers looking to avoid the high cost of international air travel. The company offers numerous cruises to beautiful and historic locations in the United States and Canada. All cruises depart from highly traveled ports in major cities, helping to keep airfare costs low and in some cases eliminating air travel altogether. North American cruises being offered this summer and fall 2011 include a 12-day cruise from Nashville to Chicago, a 13-day voyage on the Erie Canal to the Saguenay, an eight-day Lake Michigan cruise and an eight-day Maine coastal cruise. 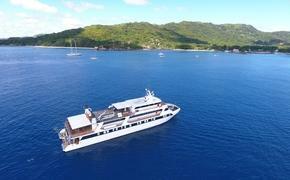 For more information, call 800-556-7450 or visit www.blountsmallshipadventures.com.